The Turkish spread for the Bloggers Table at Amara looked very enticing. As we settled down with some Apple and Mint Ice Tea, we were told that the Chef had brought with him quite a few of the special ingredients used to prepare the food here. 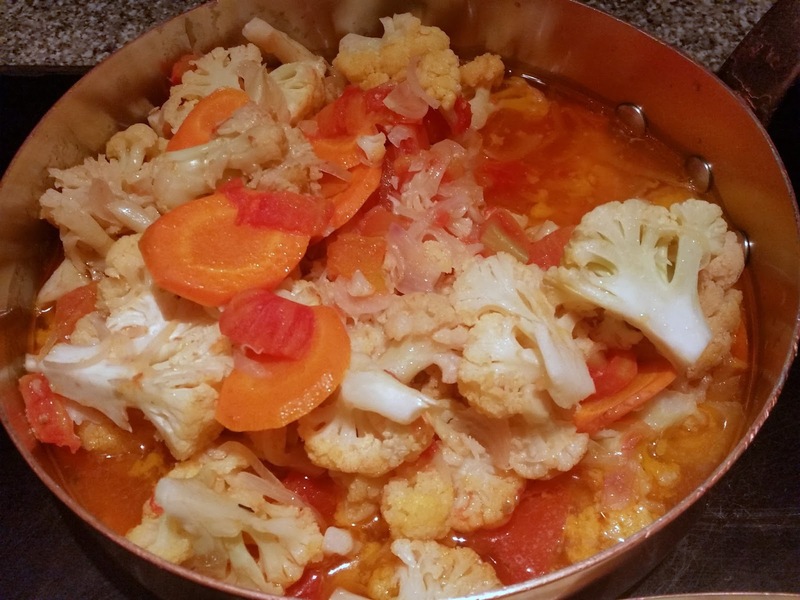 Pirinc Corbasi, a tomato based soup with rice and vegetables in it, was tasty without being spicy. A huge array of cold mezze and salads were laid out in the table next to it. Soon we were helping ourselves with copious quantities of these with pita bread. The first thing which I noticed was that there were many eggplant based dishes. 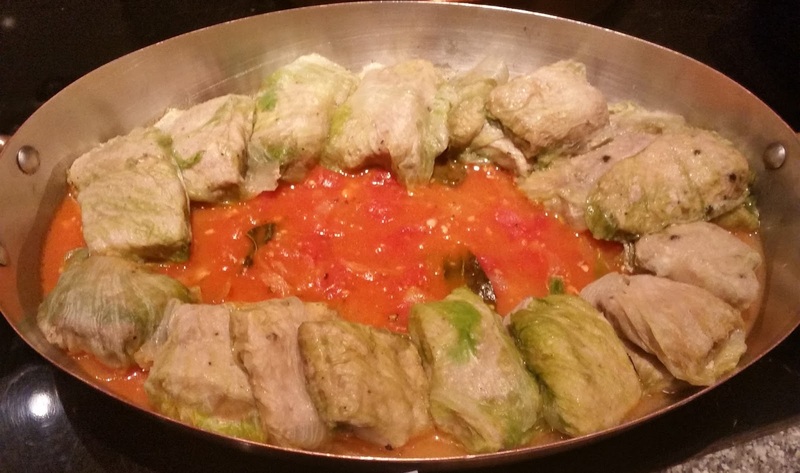 There was Patlican Kizartmasi – eggplant with lemon in a tomato based sauce. Also there was Roasted Eggplant and of course the Babaghanoush. Chef Alkan told us that eggplant is a favourite of the Turkish, and they have their version of Moussaka. A dish with diced eggplant with onions (I do not recollect the name) impressed quite a few of us. The pita bread went brilliantly with the Hummus as well as Azili Ezme, chopped tomatoes and cucumber in Turkish spices. 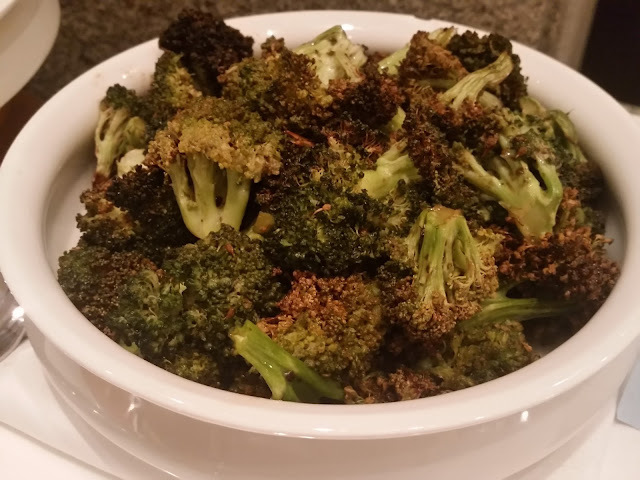 Roast Broccoli was another dish which was simple and retained the flavour of the vegetable albeit with a smoky touch. For the non-vegetarians both the Tavuk Salata (chicken salad with lots of veggies) and Balik Salata (Fish salad with green vegetables) were delicious. 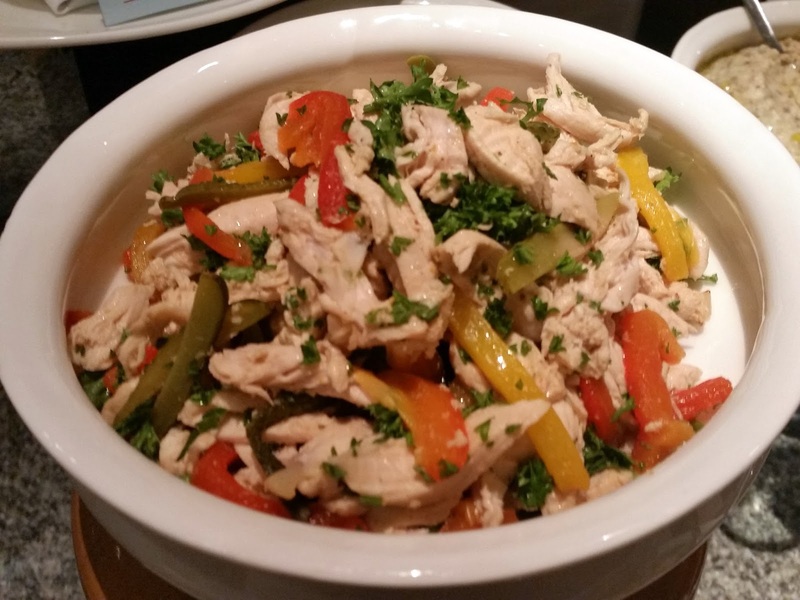 Turkish cooking focusses on retaining the taste of the meat and vegetables, with very little spices added to the mix. This was even more evident as we moved to the main courses. 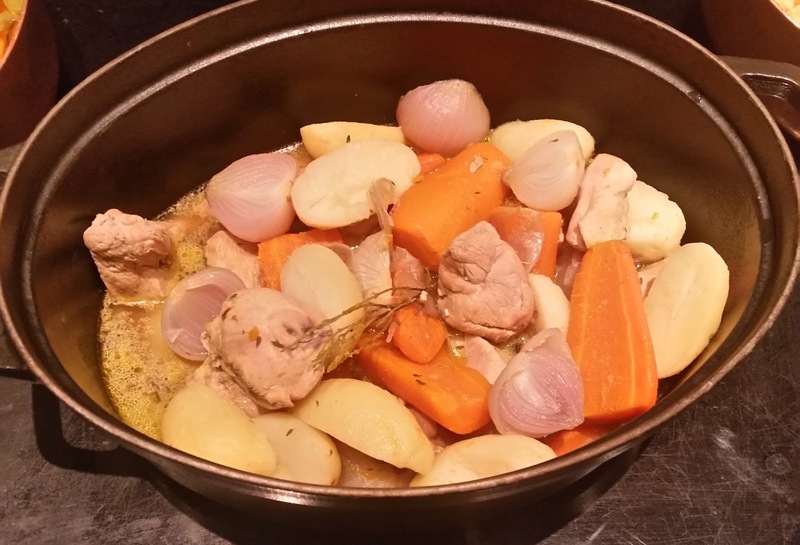 The highlight of the main courses for me was the Tavuk Haslama – a chicken stew with large potatoes, onions and carrots. The stew was light and juicy and the accompanying bread tasted heavenly after dunking it, as it absorbed the flavours from the stew. 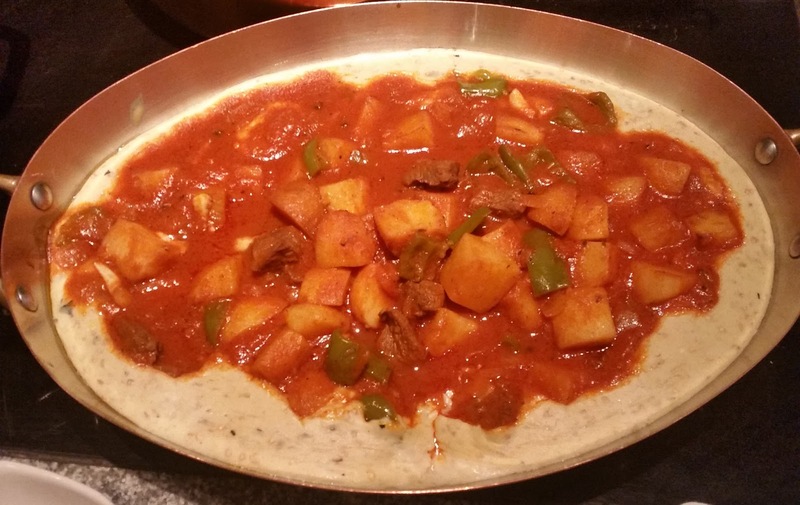 Hunkar Begendi, tenderloin in a sauce of tomato, eggplant and milk presented a completely different taste – thick and wholesome. The slow cooked beef was soft and had absorbed the gravy. The fish based Balik Bugulama prepared with onion and green pepper looked very inviting, but the taste belied my expectations a bit. Chef had told us that Turkey enjoys a lot of seafood, including exquisite mussels and octopus and the Bengali in me would have loved to see a bigger proportion of seafood in the buffet. I tasted the vegetarian main courses as well. Taze Fasulye impressed me as a nice preparation of beans, and in Karnibahar, a popular Turkish dish prepared with cauliflower and tomatoes, the taste of bread dunked in the broth was superb. The names of the Turkish desserts resembled their Indian counterparts. 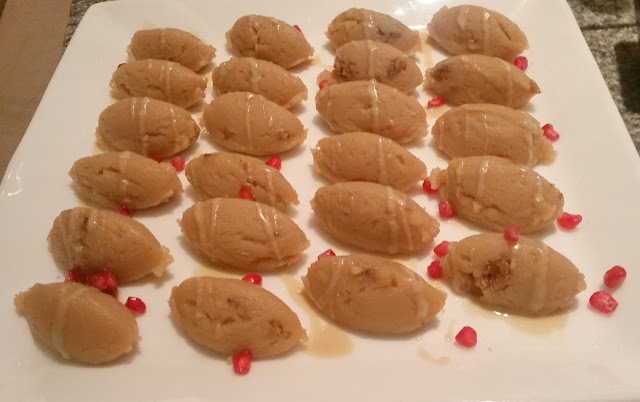 Un Helva made with flour, olive oil and butter was the Turkish version of halwa – soft and mildly sweet it appealed to my tastebuds. Firin Sistcac, the Turkish style Rice and milk Pudding resembled a firni or payasam, it had a baked upper crust, but was syrupy inside. However it was a trifle too sweet for my liking. After a sumptuous Turkish meal I was surprised to find that I did not feel heavy at all – this was maybe because the oil as well as spices were used in moderation. 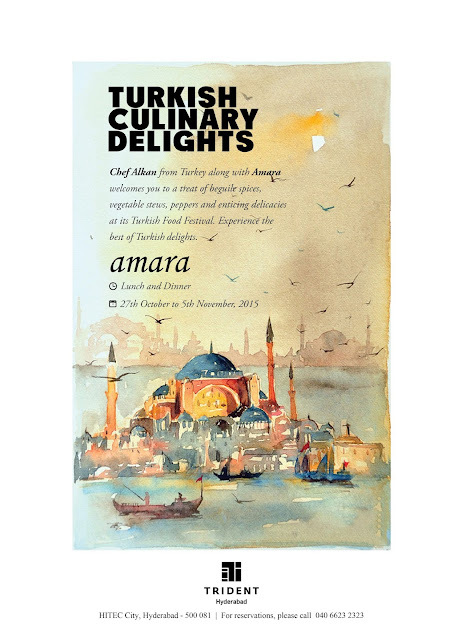 The festival which is on as part of the regular lunch and dinner buffet at Amara till 5th November, should be a must try for fans of Mediterranean cuisine, as well people who like to experience new cuisines. 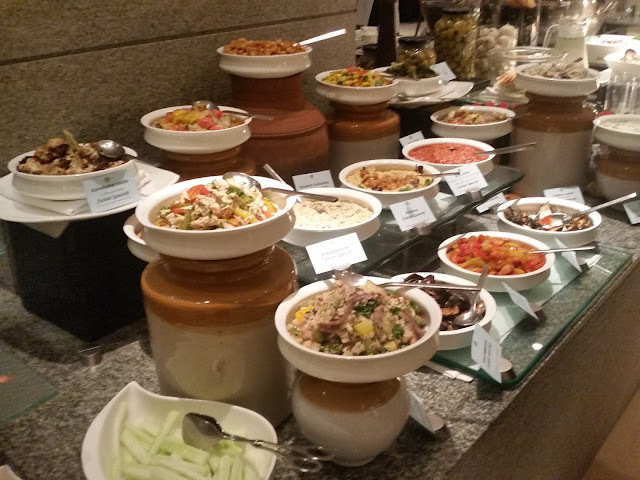 The Amara buffet is priced at Rs 1275+taxes for both lunch and dinner.